You are recommended to create new groups to track your keywords positions in a more convenient way. Click All Keywords in the section Website positions and select Create new group. Enter the name of a new keyword group and click Save. Check the checkbox next to the required word or group of words. 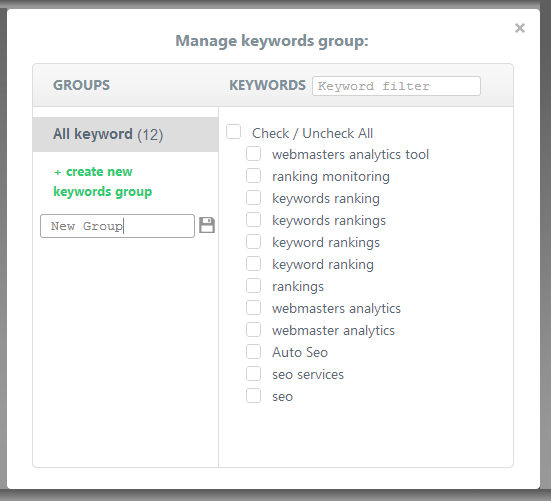 Click Keywords settings in the section Website positions and select Add to new group. Enter the name of the new keyword group and click Save. 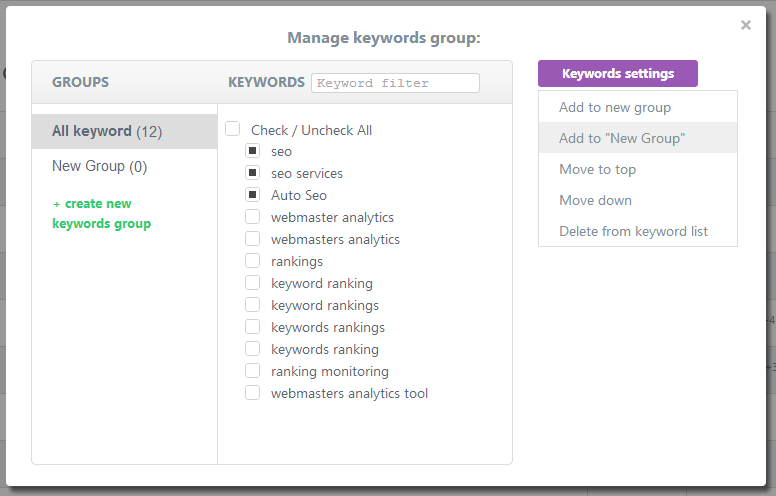 Click All Keywords in the section Website positions and select Manage Groups. 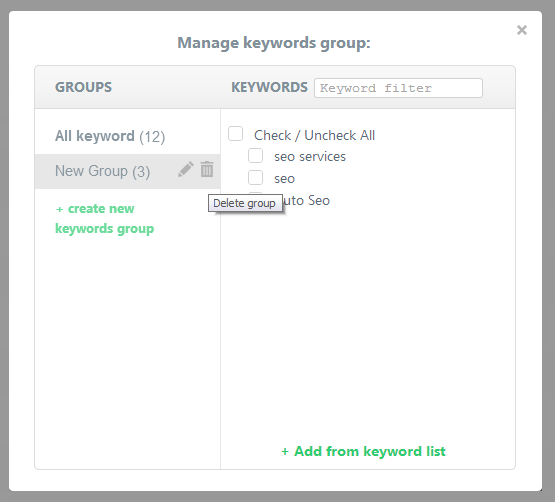 Select Create new keywords group in a new window. 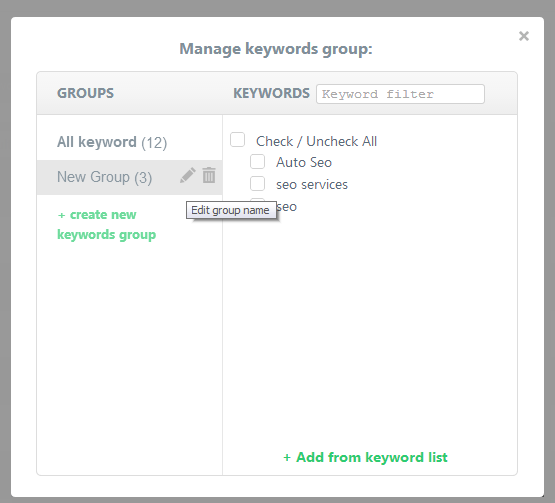 Select Add to new group in the section Keywords settings. Click All Keywords in the section Website positions and select the required group. Left-click the required group and click Rename. Enter the name of a new group and click Save. Click All Keywords in the section Website positions and select the item Manage Groups. Left-click the required group and click Delete. Confirm your decision: if you agree to delete a group click Y and choose N if you changed your mind.